It’s difficult and expensive to license celebrity names and trademarked looks. 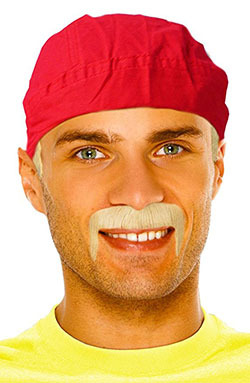 So, let me tell you something, brother: It’s time for some bootleg pumpkin-month costumes! Sweet Child Rocker is definitely not Axl Rose, which makes sense, because it’s 2017. And Landscape Artist Brown Afro? You better believe it’s not Bob Ross. Graveyard Ghost is, of course, unlicensed Beetlejuice. And the Women’s Orange Scrub Set may be obvious, but the true genius of “Burger Heiress” might not strike you until you see who they’re referring to. Amazon Key is a system that allows Amazon to unlock your front door and deliver your packages inside your house. There’s a video, if you feel like you’re still on the fence about this idea. 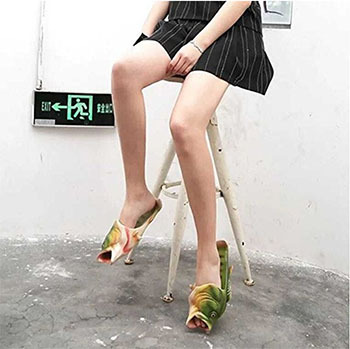 There’s nothing better, when you’re sitting on a stool in a parking garage, than a comfortable pair of fish shoes, which the manufacturer helpfully notes “also uses as couples shoe’s” (sic). The close-up picture of the shoes themselves makes the idea even more bizarre, since it looks like they may be hand-painted. Which means that someone, somewhere, is painting fish shoes. 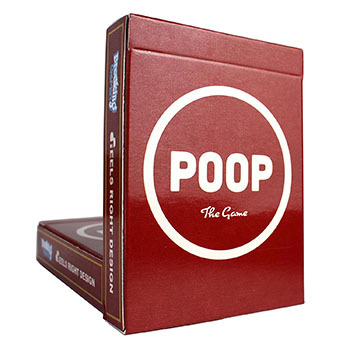 “Take turns pooping, but don’t clog the toilet,” says the manufacturer of Poop: The Game. 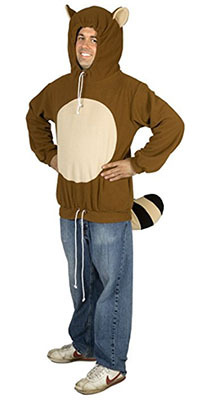 If you’re about to “more like the best thing for sale” me, congratulations: You’re the target demographic. Peanut-butter toast and a cup of coffee is a pretty classic, cheap breakfast combo. Which means it makes perfect sense to replace that with a thirteen-dollar jar of caffeinated peanut butter. 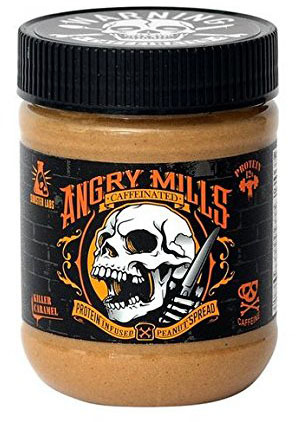 It’s got a skull and bones on it, though, so that means it’s… angry? How Shy People Can Make Network?